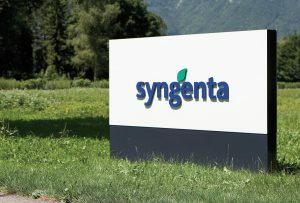 Farmers who sued Swiss agribusiness giant Syngenta (NYSE:SYT) over its genetically engineered corn seed variety were awarded nearly $218 million by a federal jury in Kansas. The case involved four Kansas farmers representing roughly 7,300 growers from that state. The jury award would be dispersed to all of the Kansas farmers in the class, minus unspecified attorneys’ fees. It remains unclear how much each victim will ultimately get. At issue was Syngenta’s decision to introduce its Viptera seed variety to the U.S. market before China approved it for imports. Syngenta began selling Viptera in the U.S. for the 2011 growing season. According to the court filings, Syngenta aggressively marketed the seeds, despite sufficient evidence that getting approval from Chinese regulators was going to be an issue. China didn’t give the seed variety its approval until December 2014. The lawsuits allege Syngenta’s move ruined an important export market for U.S. corn and resulted in years of depressed corn prices. Even though most of the farmers suing didn’t grow Viptera, they were still affected by Sygenta’s decision. China rejected millions of metric tons of grain from the U.S. because exported grain is typically comprised of grain from large numbers of suppliers mixed together by elevators and shippers, making it difficult to properly source corn that was free of the trait. The Kansas farmers’ attorneys called the verdict “great news” for Kansas and U.S. corn growers. A similar trial is scheduled in Minnesota next month. That one involves about 60,000 cases. The Kansas and Minnesota trials will serve as bellwether trials for attorneys, who can then determine whether to settle other cases or take them to trial. The legal team for the Minnesota case is also reportedly seeking Iowa farmers for a lawsuit.